The county organise a range of tournaments through the course of the year for example FastNet, Rotate8 and Lower Leagues. In addition many clubs organise their own events, often to raise money for charity. 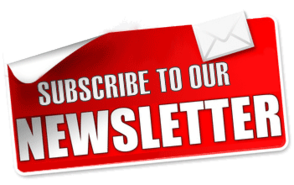 Information about tournaments organised by the county and how to enter will be posted on the website. Any clubs wishing to advertise their tournaments on the county website should contact the Tournament Secretary. On Saturday 22nd June at Blue Flames sporting club saw 15 teams take part in this years annual Tobi Swinbank memorial netball tournament. The event was sponsored by Future Strategies LTD allowing all money raised from this event to go directly to the RVI children’s kidney fund. Tobi Swinbank was diagnosed with renal failure aged 14 days old and due to complications died aged 18 months in 2010. 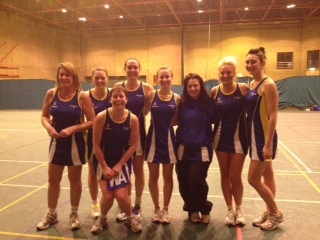 Wearside Wildcats Netball Club held their 3rd Annual Netball tournament on Saturday 1st June 2013. The tournament has been held the 1st weekend in June for 3 years now. The tournament was held for all teams of any level: A ladies tournament, back to netball tournament & mixed tournament. 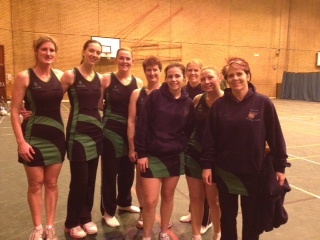 A total of 10 Ladies teams, 6 Back to Netball teams and 7 mixed teams entered the tournament and competed on the day. The entry fee was £25 and all the proceeds went to the Acorns Children’s Hospice Charity. 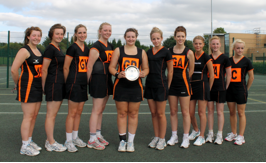 Hasbeens won the Ladies tournament; Wildcats won the mixed tournament & Bede Bells won the Back to Netball tournament. All the teams did exceptionally well and enjoyed the day. 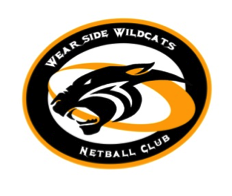 This is now the 3rd tournament organised by Wearside Wildcats Netball Club & they hope to keep it as an annual event on the netball calendar. The total money raised for Acorns was £875 which is a terrific amount and they would like to thank everyone for their contribution. Acorns Children's Hospice provides care and support for children and young people who have life limiting or life threatening conditions. Emily Hart died in December 2006 shortly before her 6th birthday. As a two year old she was diagnosed with Metachromatic Leukodystrophy, a genetic disorder that affects nerves, muscles and other organs and slowly gets worse over time. There is no cure for MLD. Emily lived at home right up until her death but she went into respite several times at Acorns Children’s Hospice. Their care was absolutely wonderful and is something we have never forgotten. With the help of Gateshead Stadium Netball club, Kerry Smith organised a Christmas charity netball tournament to raise funds for the Eve Appeal. The Eve Appeal is a charity that raises awareness and does research into cervical cancer, this charity was chosen after Kerry’s 24 year old sister was diagnosed (and successfully treated!) last year. The tournament was a great success with 16 teams from across the region competing. The runners up were Broom Cottages and the winners were Speedwell. Over all the day raised £370 for the charity! The 6th annual Clarke Lister charity netball tournament took place on Saturday 8th September 2012 at Walbottle Campus Technology College. 19 teams participated in the competition which was a huge success and was enjoyed by all. The trophy final was won by Seatonians A who beat Newcastle City and the plate final was won by Grangetown with Seatonians B coming runners up. Throughout the whole day £1,070 was raised with £4320 being raised over the last six years in aid of The Clarke Lister Brain Haemorrhage Foundation which is a local North East charity. Thanks to all who helped with the organising, tombola, refreshments, timing and umpiring. A special thanks to Aura Community and Leisure who provided the courts at Walbottle Campus at a significantly reduced price, England Netball, Team Northumbria and friends for their donations of prizes. The day would not have run as smoothly without their help! 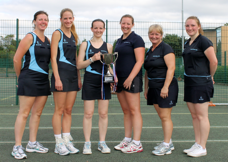 The annual Tobi Swinbank memorial netball tournament took place at Blue Flames on Saturday 16th June sponsored by Future Strategies Consulting LTD. The popular event saw ten Ladies teams and eleven Mixed teams participate raising money for the RVI children’s kidney fund in memory of Tobi aged 14 months when he died. The fun packed day raised £1225. In the Ladies Tournament Seatonians won beating Riverside 16 v 10 in the final. In the Mixed section Magpies narrowly beat Randoms 11 v 8. The Tobi Swinbank Wooden spoon trophy returned for the second year running to the RVI team.